I SHOULD really try and add a little more gloss to this review. It’s been written without too much in the way of polish. But somehow that feels the right way to go about it, in keeping with the product itself. 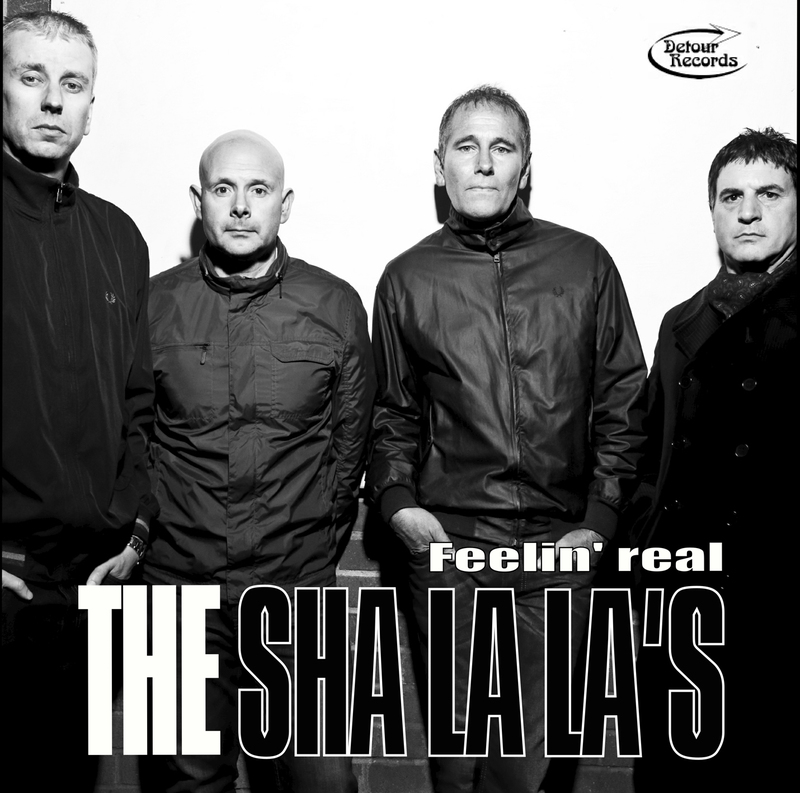 That’s not to say the eagerly-waiting debut album from The Sha La La’s is rough and ready, but there’s definitely a feel of the immediate and the raw about it. As I let on last time I wrote about this band, I’ve followed Darron Robinson and John Piccirillo’s progress over a few years, and if I had anything to carp about in the past, it was the fact that the live sound I heard was never truly replicated when they got in the studio. That was perhaps something that fitted the times, Darron’s sometimes acerbic, sometimes sweet, always sharp rhetoric toned down by a more measured production. But I reckon over the years they grew to realise it shouldn’t always be about that, re-discovering a little more rebellion in their musical influences, from Dexy’s, The Jam and The Who to Dr Feelgood and even The Redskins. It was always a travesty that they never quite made the big time, but if there were any positives to come out of that, it was that Darron and John re-examined where they’d missed out, where they wanted to be, what they coveted most, and just how they should sound. 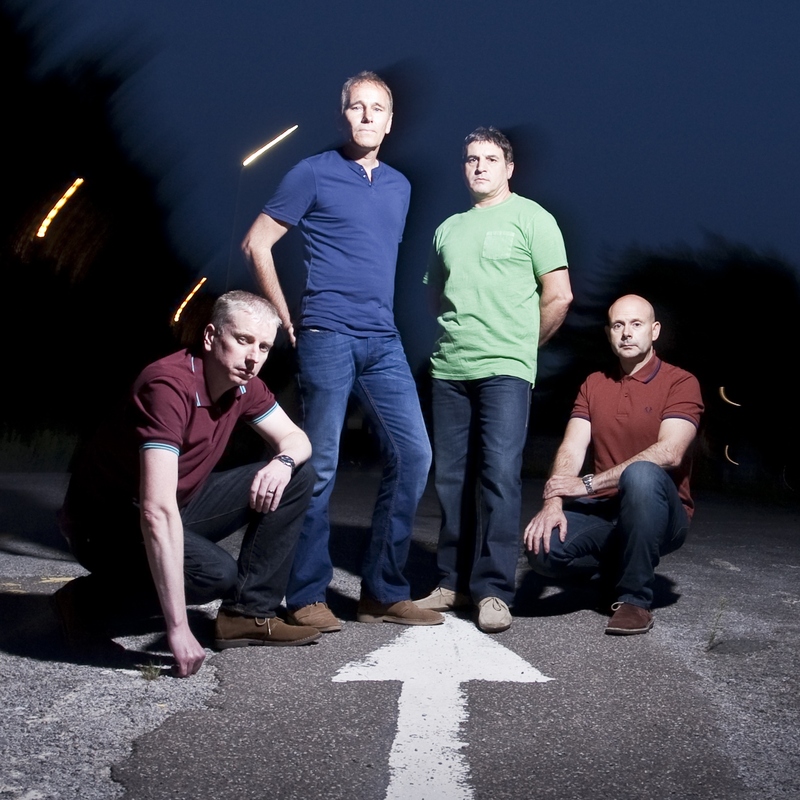 And a lot of the results of that re-think are on their 10-track Detour Records debut album (yes, a debut after all these years), Feelin’ Real – not least shades of Weller, Marriott, Lane, Townshend and Mayfield, with a harder soul and r’n’b edge and plenty of that spirit that always lurked beneath the surface. And to that extent I think they’ve truly nailed it. A certain band from my formative days, Fine Young Cannibals, called their second album The Raw and the Cooked, and there was something in that. The mainstream production was there, but so were the rough edges that made certain tracks work. And the same goes for this four-piece’s new labour of love. Heart-felt from the start, title track Feelin’ Real is not a powerhouse entrance, but the live feel gives you a real impression that Darron’s building up to his part. In that sense it’s an imperfect yet spot-on start, and like much of the band’s material there’s a lot you kind of know but can’t quite put your finger on. That doesn’t make it derivative or necessarily retro, just soaked in nostalgia for so much great ‘60s rhythm‘n’blues and soul. Track two would have been a more obvious starting point, but this choice works all the same, Something I Can’t See dragging the last of the doubters away from the bar to soak it all up, the Wilko-esque chop guitar, staccato drumming and rumbling bass infectious, the band then cutting away part-way through for a little falsetto harmonising and Motor City hand-clapping (and I’m not talking Dagenham, either, despite that Canvey Island influence). Another new track next, yet again I feel like I’ve been dragged on to the floor by Get Up On Yourself in the past, possibly since before I was born (as Marc Bolan said, ‘I danced myself out of the womb’). To that effect, I can imagine a few Northern Soul aficianados making out they’ve known this song for some time. Like that genre, it’s not technically perfect, but all the better for that. Add a little echo and you might even feel you’re there at the Twisted Wheel or 100 Club. The Hammond returns from the outset on Out Of My Head, arguably the band’s interpretation of Weller playing The Who or Small Faces. Let’s face it, if Paul’s current band did this for an encore, it would sit nicely, and again a few knowing types near the front would confide in their mates that they surely should know this was in fact an obscure Marriott or Townshend flip-side … maybe. Nostalgia isn’t all about the ‘60s with this four-piece though, and while there are elements of a Ready Steady Go floor-filler on Twenty Five, this is a poignant number about remaining top of your game, irrespective of age, feeling like you’re in your mid-20s again. Perhaps there’s more than a bit of Darron there, on a creative high so many years after he should first have had a chance to shine on the big stage. I’m thinking of a smoky club again now, and seeing as we’re on to the second side of this platter (of sorts), we’ve an instrumental in Losin’ It that suggests The Jam as a support act at an early Georgie Fame gig, a few hollering GI in town and lapping up that Wardour Street sound. An intermission maybe, but maybe just a call to return to the floor after a half-time swift one. That leads nicely on to Can’t Stop Losin’ You, that heady mix of musical hook and everything that’s good about this band nicely complemented by the organ again. And just maybe I hear Levi Stubbs up there, pouring out his heart and soul as his fellow Tops harmonise. They don’t hang around though, and before you know it we’ve moved on again. A subtle gear-change sees us head into a more reflective mode with Missin’ Words, getting the idea that we’re slowly building up to the climax, catching our breath before a final hurrah. There’s something else there as the key changes and the backing vocals come in, and it took me a while before I sussed it might be a slowed-down hook from the afore-mentioned FYC’s Good Thing (having dismissed my better half’s plausible suggestion of The Human League’s Mirror Man). There’s something of Dexy’s circa Plan B and plenty of Motown charm too. And when they change tack late on for an ‘always there to remind you’ play-out, you can imagine Sandie Shaw kicking off her shoes to join them for an encore. The opening riff and deep bass on If You Can’t Stop (Don’t Start) bring to mind The Spencer Davis Group tackling Julian Cope’s World Shut Your Mouth with the soulful snarl of Chris Dean’s Redskins, and you get the feeling we’re ever closer to moving on up to that destination Curtis foresaw. A joyful, near-triumphant call to arms, the midway breakdown and building drum and bass leading to a ‘keep on’ refrain taking us to a storming finish. And on an anthemic climax, Keep On (Risin’ Up To Love), there are elements of Townshend’s I Can’t Explain and maybe even a faster-paced version of the earlier Missin’ Words, the band’s mod roots shoved in your face in style, made all the sharper with a Wilson Pickett–style ‘huh’ to see us out, and again in just under three minutes – always a perfect time to stop the clock. 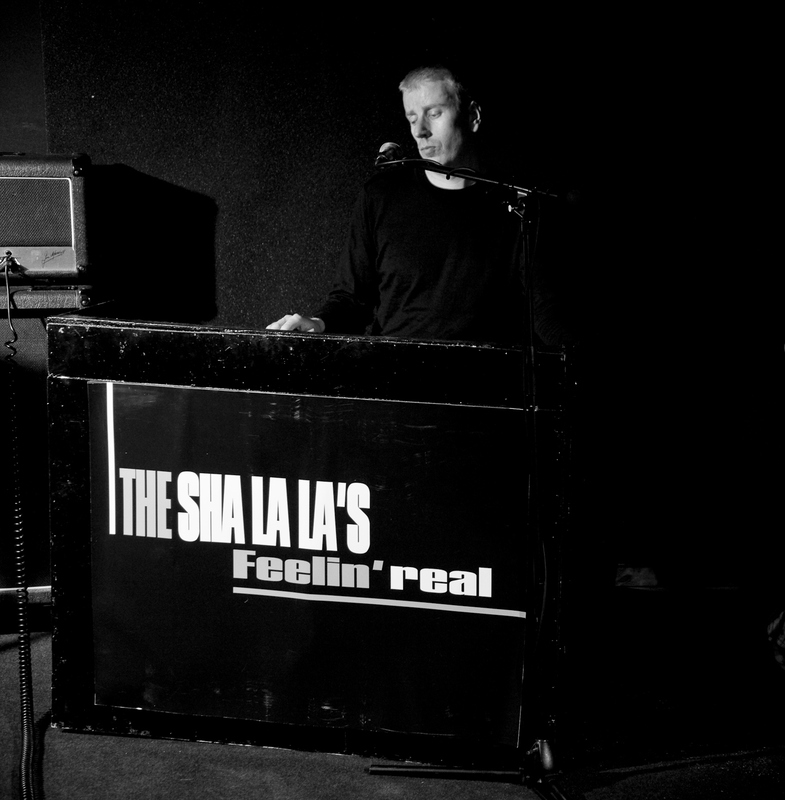 * For the first writewyattuk feature profiling The Sha La La’s, head here. This entry was posted in Music and tagged 60s Soul, Curtis Mayfield, Darron Robinson, Dexy's, Feelin' Real, John Lee, John Piccirillo, Lou Lucano, Mod, Northern Soul, paul weller, Royale Records, Small Faces, The Jam, The Redskins, The Sha La La's, The Who. Bookmark the permalink.